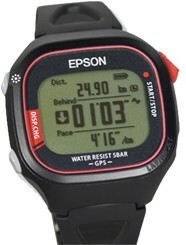 Epson, the world-renowned printing company, has surprised everyone around them with their latest product, a lightweight (in fact, the lightest ever) GPS runner’s watch. Normally touting products like high-speed, quality office printers, scanners, fax machines, as well as label makers, projectors and other office-type technologies, they’ve outdone themselves by venturing into the fitness market. Hey, office types have to stay fit, too, right? • Apparently, this little device offers the best battery life out there at a hefty 12 hour lifespan from one single charge. That’s more than enough for most marathons or trail runs. • It is reported to have extremely accurate readings, better than its competitors. • At only 13mm thick and weighing in at no more than 50g, it won’t be a dead weight on any runner or athlete. • It’s water-resistant and has a casing that protects its inner workings up to a submersion of 165 feet. If you’re out on a trail and it starts raining, don’t worry about the downpour ruining your equipment, and you could also use it to monitor swimming, that is, no deeper than 5 bars of water. As a GPS device, it provides accurate and up-to-the-minute pacing and distance information for the runner in training or any athlete who would like to monitor progress. This little GPS companion isn’t yet available on the market, but as soon as it hits stores, date yet unknown, it will be interesting to see if the world’s leader in office technology can make the jump into the fitness market. They report they were able to conceive of this new device by drawing on their already extensive knowledge of semiconductors and quartz sensing technology. I see it as a bold step in a new direction, and any company these days must plunge into new realms if they hope to stay relevant and ahead of the game. And health? Probably one of the best avenues to go down. From a press release, the company states, “Moving forward, Epson is looking to help people enjoy healthier, fuller lives by using its technologies…” Cheers to health! 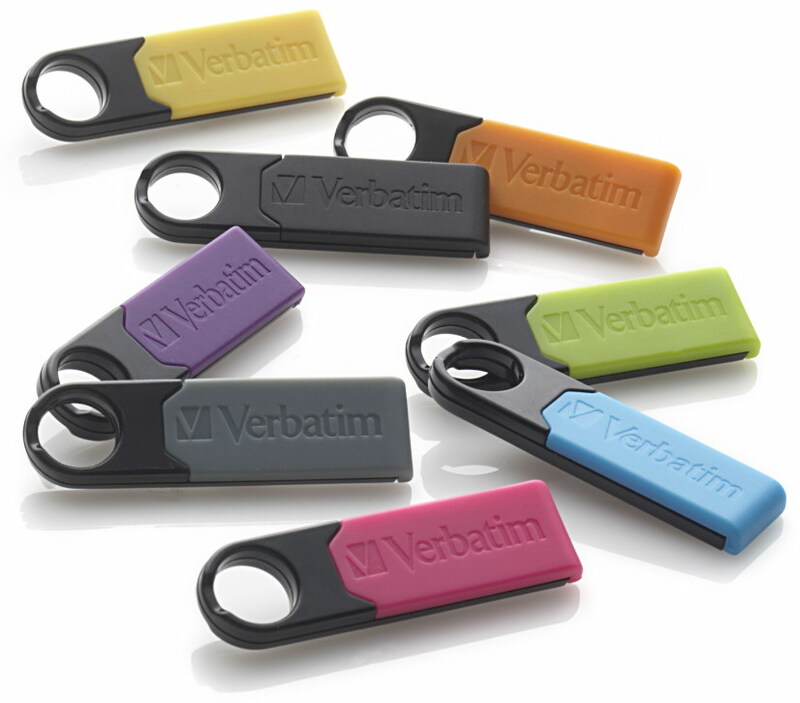 Okay, attention all business backpackers: If you’re looking for a storage drive that you can take with you anywhere despite rain, shine or mudslides, look no further than the Verbatim Store’n’Go Plus. You won’t be the only one wearing a suit or traveling into unknown destinations; this sturdy, heavy duty USB comes with a “suit” to protect it, too, and it can travel anywhere with you. Remember when we announced Verbatim’s release of the marvelously tiny Tuff’n’Tiny? It’s the “penny” drive, smallest USB ever created, that fits, barely noticeable, right on the keychain. Well, the Store’n’Go Plus is a little bigger, but it can also fit right on the keychain, and it has a flexible but tough cover to protect all your important files. 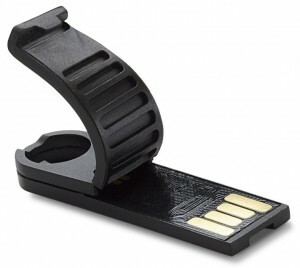 This all-purpose USB drive is a keeper, whether you’re a photographer out on the trail, business person roughing the office, student traversing classes or dirt biker writer. Available in sizes from 4 GB to 32 GB and starting out at $19.99, this USB drive is an affordable and durable investment. This puppy has USB 2.0 capabilities and connects with any USB port. Plus, just like most Verbatim products, it’s backed by a Lifetime Warranty! No planned obsolence here, folks.